Rinse grapes, remove stems and pat dry. Simmer dark chocolate in a pan with oil. Stir until melted and remove from heat. Allow the chocolate to cool slightly. Meanwhile, set aside half the grapes and arrange the crushed nuts in a flat dish. 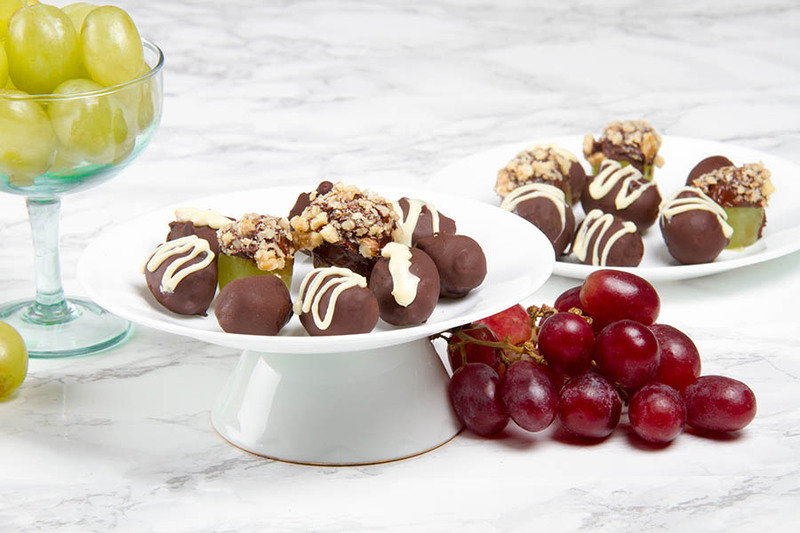 For the first group of grapes, individually roll each grape in chocolate until covered completely. Set each grape on a sheet of waxed paper until cooled. 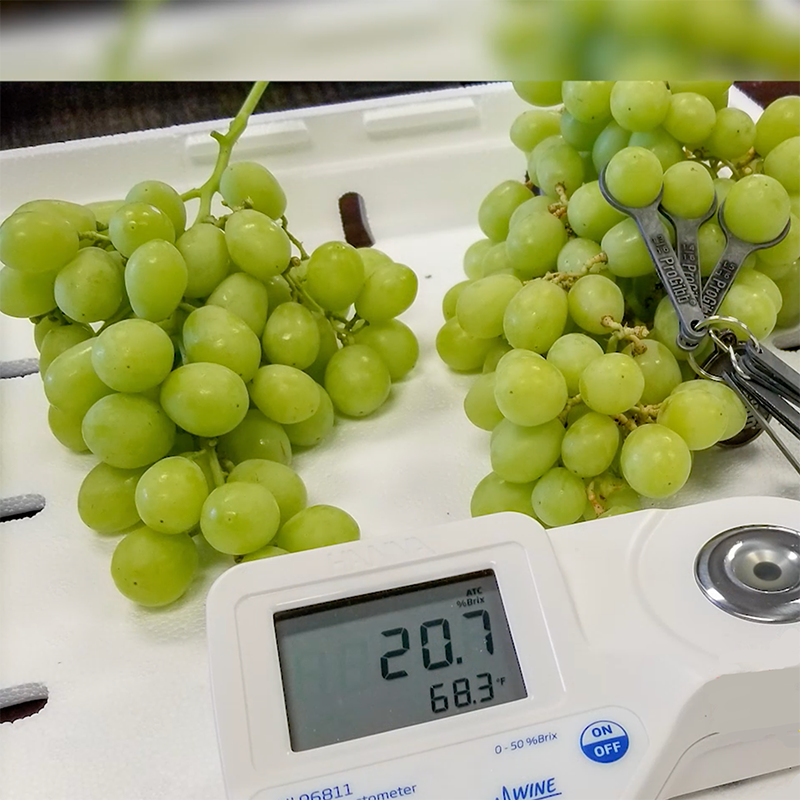 For the second group of grapes, individually dip each grape in chocolate to the half-way point, and dip the chocolate side into nuts. Place on waxed paper until cooled. Simmer white chocolate in a pan. Since white chocolate is made from cocoa butter, it may not require oil, or just a drop or two. Stir until melted and remove from heat. 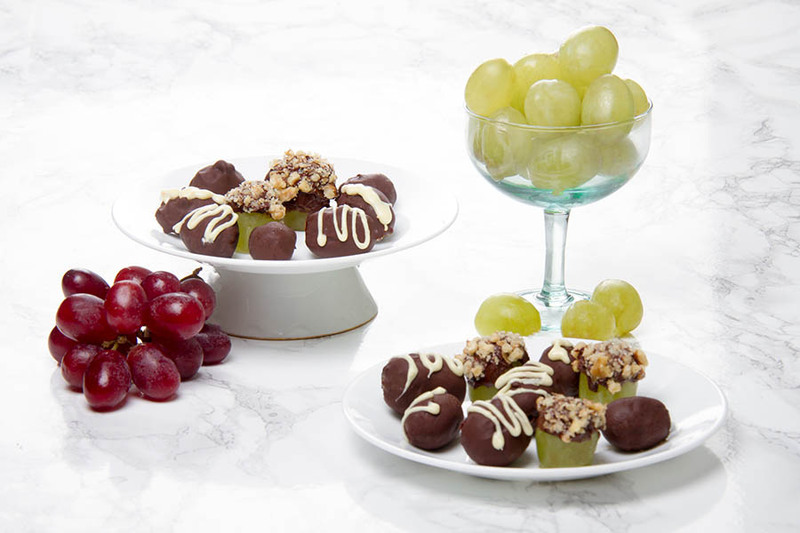 Drizzle white chocolate on chocolate-covered grapes and arrange on small serving plates. Add bunches of red and green seedless California grapes. Find more inspiration on our Pinterest page!